Beer festivals are generally common to those living in a city, but for those that live in smaller communities they don’t happen too often. 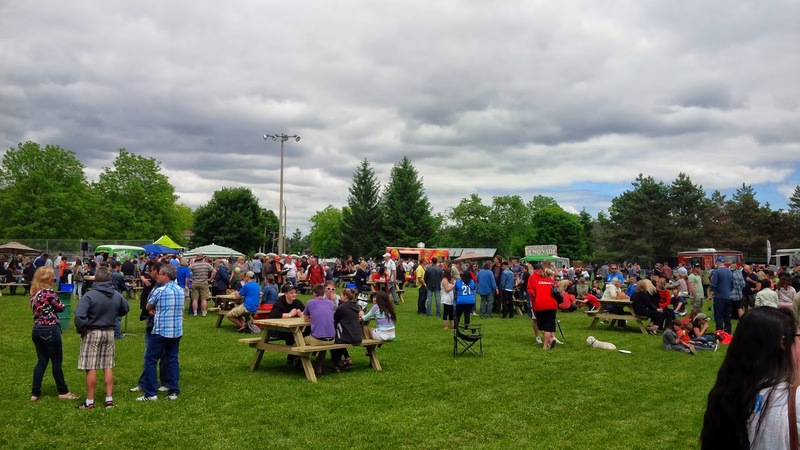 Starting what will hopefully be a growing trend, the Parks, Recreation and Culture department of King Township hosted a Craft Beer and Food Truck Festival on Saturday June 14, 2014. I had the pleasure of being a guest and joining in on the festivities. Along for the ride was our resident beer expert, Scott Fry (@SFRealManTravels) and representing Real Girl Travels was Sarah (@sarahe05). The three of us made the rounds sampling as much as we could in our relatively short time frame. So what is different about this festival from any other? The number one difference was that it was intended for an entire community. Knowing very well that families were the demographic, the team at King Township made sure the event catered to them. Families could be found lying in the grass on blankets with rock n roll music as the soundtrack of the day. This is the only festival I have ever attended where dogs were permitted onto the grounds. Because of that I found my own dog’s doppelganger and made some new friends (on two legs and four). 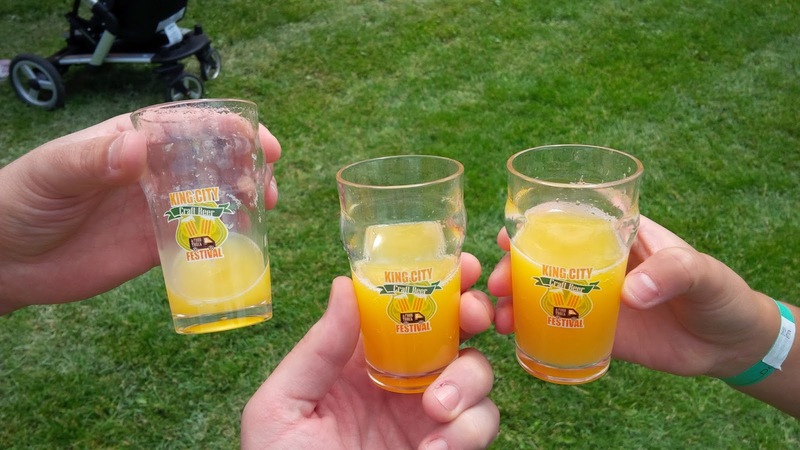 A quick recap of our favourite flavours on the day were: Orange Mungus by Flying Monkeys, an orange infused beer that tasted much more like a mimosa. I’ve declared it would be the perfect starter drink on a weekend cottage trip in lieu of orange juice. Arch Brewery's Dinner Jacket delivered a red India Pale Ale that was softened by infused oats. Highland Brewery stole the show for us with their BlackSmith Smoked Porter. Maybe it was the espresso taste, or the hints of maple and dark chocolate, or perhaps it was simply because it was the end of our drinking day. Either way we had to have more and visited the fine folks of Highlander Brewing multiple times for this drink. Food choices were excellent as well, with the options ranging from Mexican to Italian to Greek to smoked meats. 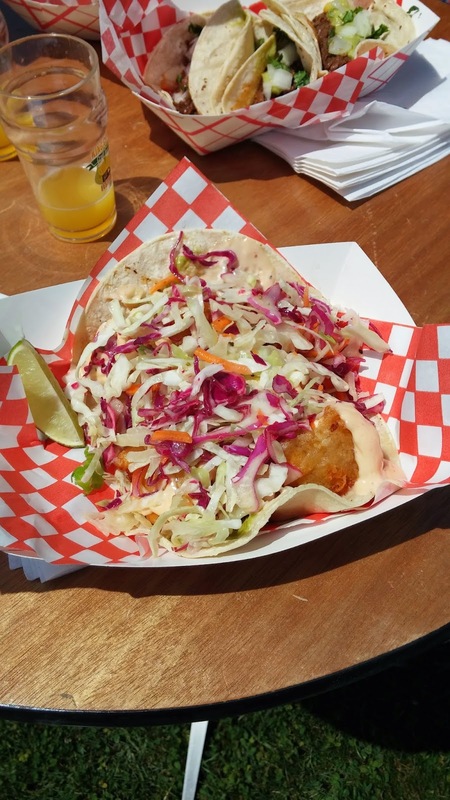 For us the clear winner of tastiest food belonged to Gourmet Gringos and their fish tacos. I hope that King Township keeps the tradition of the Craft Beer and Food Truck Festival alive and returns next year. I'd be sure to visit again, this time with my dog! Thanks to King City's Parks, Recreation and Culture team (@ParksRecCulture) for the invite out and all their hard work organizing the event. Did you attend? Let us know below in the comments or on Twitter or Facebook. Thank you for coming! It was nice meeting you all! It was our pleasure. 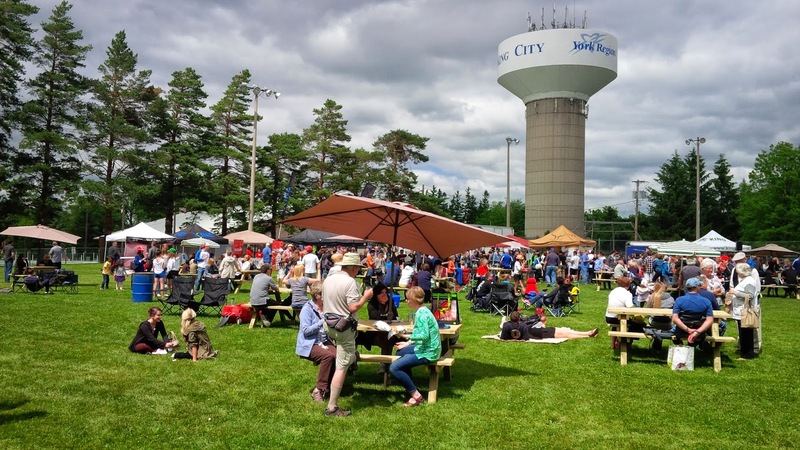 Thank you for bringing beer festivals to small town Ontario!